This bibliography includes both factual and speculative discussions of Earth's interior, as well as fiction with underground settings. In the nonfiction section, works of mainly speculative interest are marked with an *. The nonfiction titles are self-explanatory; comments are offered on the fiction. Carmody, John and Sterling, Ray. Underground Space Design: A Guide to Subsurface Utilization and Design for People in Underground Spaces (Van Nostrand Reinhold, 1993). Erickson, Jon, Rock Formations and Unusual Geologic Structures: Exploring the Earth's Surface, Revised Edition (Facts on File, 2001). Gillett, Stephen L. World-Building: A Writer's Guide to Constructing Star Systems and Life-Supporting Planets (Writer's Digest Books, 1995). From the Science Fiction Writing Series. Hallam, A. Great Geological Controversies, 2nd Edition (Oxford University Press, 1989). Hartmann, William K. Moons and Planets, 5th Edition (Brooks Cole, 2004). Halliday, William R. American Caves and Caving (Harper & Row, 1974). Mayor, Adrienne. The First Fossil Hunters (Princeton University Press, 2000). Oldroyd, David. Thinking about the Earth: A History of Ideas in Geology (Harvard University Press, 1996). Skinner, Brian J., Porter, Stephen C., and Botkin, Daniel. The Blue Planet, 2nd Edition (Wiley, 1999). Stack, Barbara. Handbook of Mining and Tunnelling Machinery (Wiley-Interscience, 1982). Alighieri, Dante (John Ciardi, translator). Inferno (Signet Classics, 2009). The first volume of Dante's three-part epic takes Dante and his teacher Virgil on a journey through a Hell set beneath the surface of the world. Written between 1308 and 1321. Baum, L. Frank. Dorothy and the Wizard in Oz (Forgotten Books, 2008). The darkest of Baum's Oz novels, taking Dorothy and her companions on a desperate journey through a series of underground realms. Written shortly after the San Francisco Earthquake. Originally published 1908. Blish, James. A Case of Conscience (Del Rey Impact, 2000). An interstellar exploration team, accompanied by a reptilian alien, returns to a future Earth where civilization has moved underground for protection from nuclear attack. Originally published 1959. Bulwer-Lytton, Edward. The Coming Race (CreateSpace, 2011). A portrayal of an advanced underground society, which became the inspiration for a variety of 20th-century occultist movements. Originally published 1871. Burroughs, Edgar Rice. At the Earth's Core (Wildside Press, 2003) and several sequels. Burroughs' classic high-adventure style in the best-known "hollow earth" setting. Originally published 1914. Cherryh, C.J. Heavy Time (Grand Central Publishing, 1992). Space-mining technology and economic conflicts over mining are keys to the plot of the hard-science-fiction novel. Originally published 1991. Forster, E.M. "The Machine Stops," The Eternal Moment (Mariner, 1970). A story of a decaying underground civilization of the future, inspired by Forster's reading of H.G. Wells. Focuses on a rebel who attempts to explore the earth's mysterious surface. Notable for its anticipation of the Internet. Originally published 1909 (story) and 1928 (book collection). Garner, Alan. The Weirdstone of Brisingamen (Sandpiper, 2006). An ancient relic draws two children into a quest in a perilous underground realm. Originally published 1960. Heinlein, Robert A. The Moon Is a Harsh Mistress (Orb Books, 1997). Ice miners play a key role in the struggle of prison colonies on the moon for independence. Originally published 1966. MacDonald, George. The Princess and the Goblin and The Princess and Curdie, in The George MacDonald Treasury (Kahley House, 2007). A miner's son defends a young princess from degenerated subterranean creatures. Originally published 1872 and 1883. O'Neill, Joseph. Land Under England (Overlook, 1985). 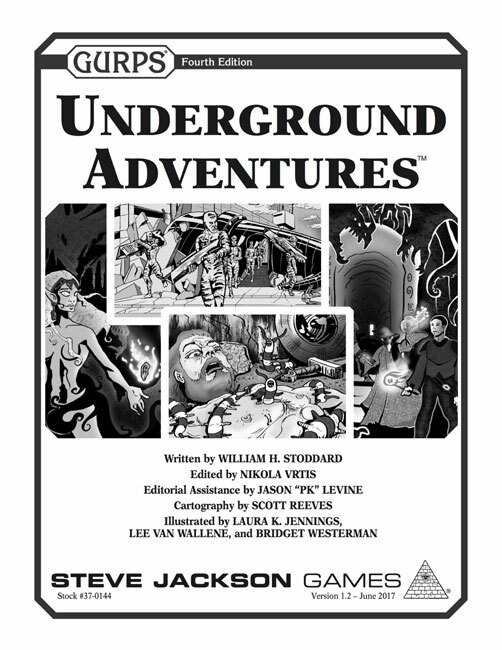 A subterranean explorer encounters monstrous beasts and a totalitarian underground state. Originally published 1935. Pratchett, Terry. The Fifth Elephant (2000). Pratchett's first detailed look at dwarfish traditions and politics, involving the coronation of a new Low King; many scenes take place in the underground realms of Überwald. Other Discworld novels with notable underground scenes are Men at Arms, Carpe Jugulum, Thud!, and Snuff. Rucker, Rudy. The Hollow Earth (Monkeybrain, 2006). A fanciful novel in which Edgar Allen Poe and a companion enter the Earth's interior through an opening in Antarctica. Verne, Jules. A Journey to the Center of the Earth (Oxford University Press, 2008). Translated by William Butcher. The most modern version of Verne's classic novel. Originally published 1864. Wells, H.G. The Time Machine (New American Library, 2002). The climax of the Time Traveller's adventures is a desperate venture into the subterranean realms of the anthropophagous Morlocks. Big Trouble in Little China (John Carpenter, 1986). 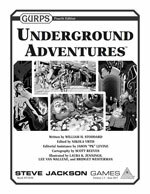 An American adventurer helps his Chinese friend rescue his girlfriend from captivity in a tunnel complex underneath San Francisco's Chinatown. Daylight (Rob Cohen, 1996). A freakish series of accidents traps several groups of people in a collapsing tunnel under the Hudson River. The Descent (Neil Marshall, 2005). Six women venture into an unexplored cave system and are pursued by carnivorous humanoid "crawlers." The Goonies (Richard Donner, 1985). A group of children ventures into a cave to look for a lost pirate treasure. Pan's Labyrinth [El laberinto del fauno] (Guillermo del Toro, 2006). A young girl in 1944 Spain escapes from family and political conflicts into a surreal underground realm. A traditional fantasy-quest theme takes an extremely dark form. The Ruins (Carter Smith, 2008). This biologically based horror film has several intense underground scenes in the ruins of a Mayan temple. The Third Man (Carol Reed, 1949). Film noir set in post-World War II Vienna, with a climactic sequence in the sewers. Tremors (Ron Underwood, 1990). A cult monster film in which huge wormlike burrowing creatures attack a small town. There are several sequels, of uneven quality, but the first is very entertaining. Beauty and the Beast (Ron Koslow, 1987-1990). A beautiful young woman discovers a hidden realm in tunnels under New York, and falls in love with one of its inhabitants. Neverwhere (Neil Gaiman, 1996). A modern-day Londoner discovers the hidden realm of "London Below." Rick Wakeman, Journey to the Center of the Earth (A&M Records, 1974). A musical work based on Verne's novel, with voice-over narration of the journey.